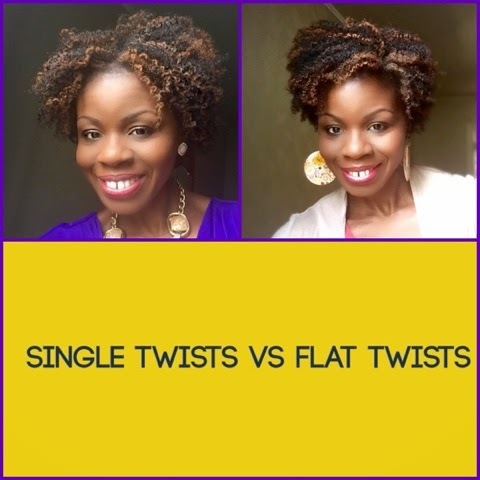 I have been told many times that the twist out look better on fine hair when they are done by flat-twisting. I have to say that I agree. My hair always look fuller when I flat-twist it. However, the flat twists take forever to dry. I will suggest flat-twisting on 90% dry hair. In other words, freshly-washed hair should be stretched first and almost dry before flat-twisting. This is to ensure that the twists dry completely. the correct product for one's hair. You have to try out different products that moisturizes and defines at the same time. Eden BodyWorks is quickly becoming a staple for me.. It moisturizes and defines. In addition, it does not flake, as long as you don't combine it with other products.